Thanks to Wells Fargo’s donation of a once-blighted home that was renovated through the hard work of many volunteers, single mother Yolanda Gilbert and her son now have a like-new home for the holidays. 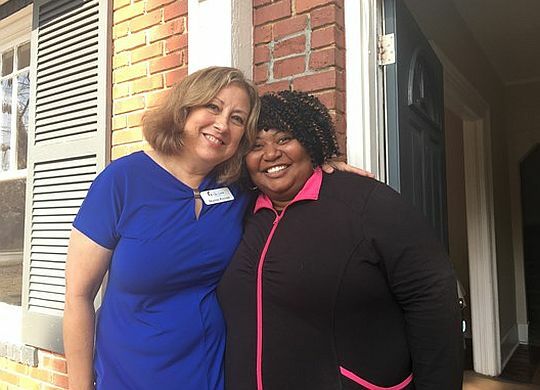 WMAZ-TV’s Erica Bowdre was on hand for the emotional event and talks to Fuller Center of Macon Executive Director Dianne Fuller about how the Save a House/Make a Home program turns once-derelict or vacant properties into simple, decent and affordable homes for families in need. Click below for the complete report.